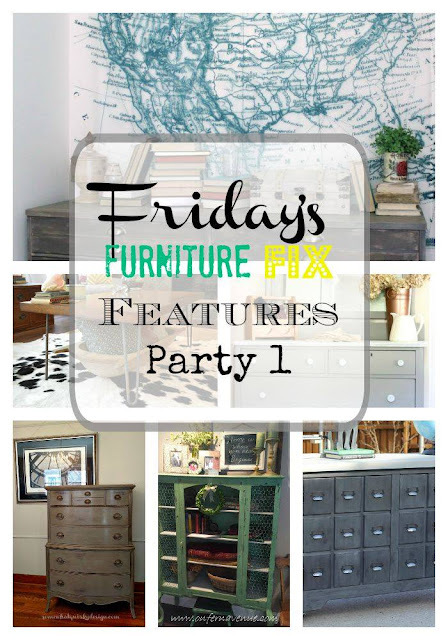 Welcome back to Friday's Furniture Fix! What an amazing turnout we had last week! I was ecstatic when Miss Mustard Seed pointed her loyal readers and furniture lovers in our direction. We owe much of the success to our first party to Marian. As a group, we decided we would each choose one favorite. 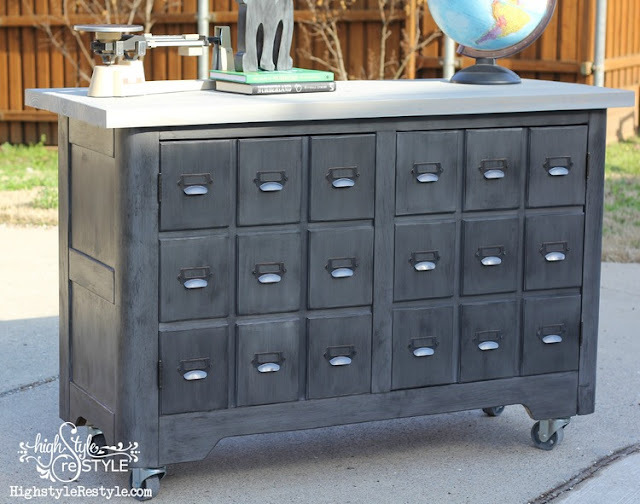 This is an impossible task - did you see these projects? 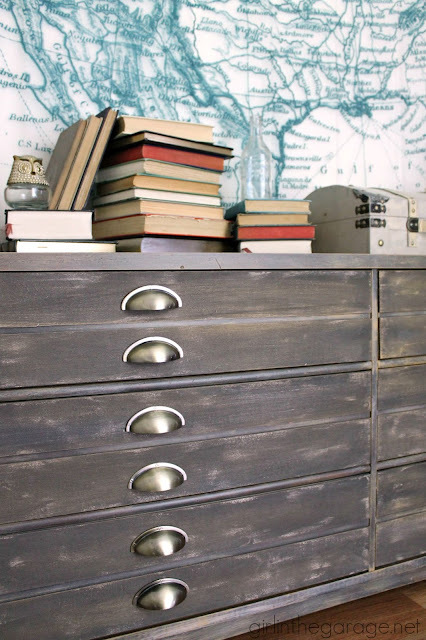 Alas, I narrowed my long list of favorites down to Dena's Rustic Industrial Table. You have to see what it looked like before in order to appreciate the transformation. 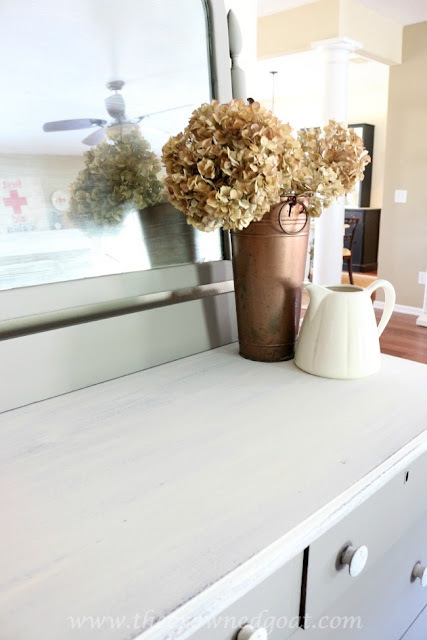 I have a need for a midcentury coffee table in the playroom, and I love that hers turned out so well. It gives me the motivation I need to do something like this. 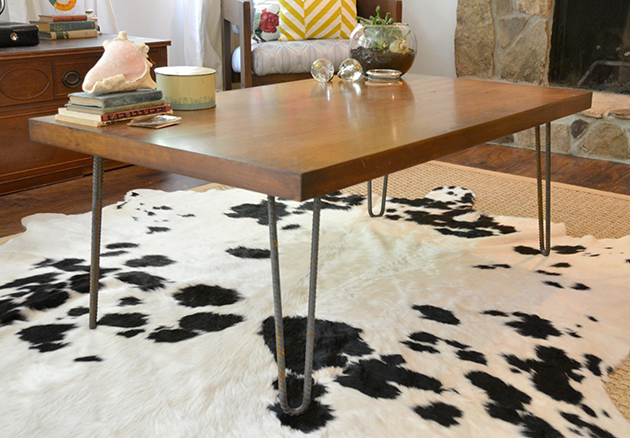 And now I'm scanning Craig's List daily for a similar table top. 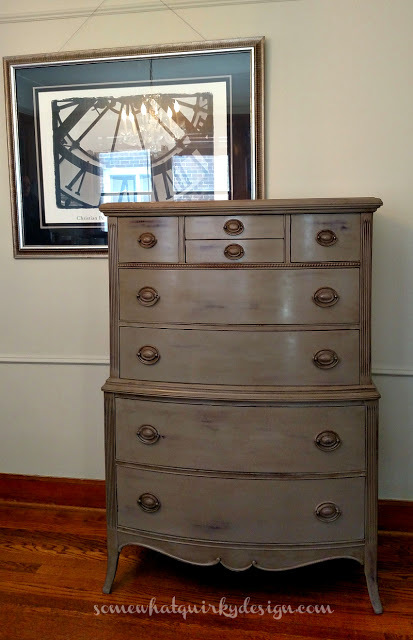 Nancy chose this coco-colored highboy from Somewhat Quirky. Be warned - adorable baby picture in this post. It gives me the aches. 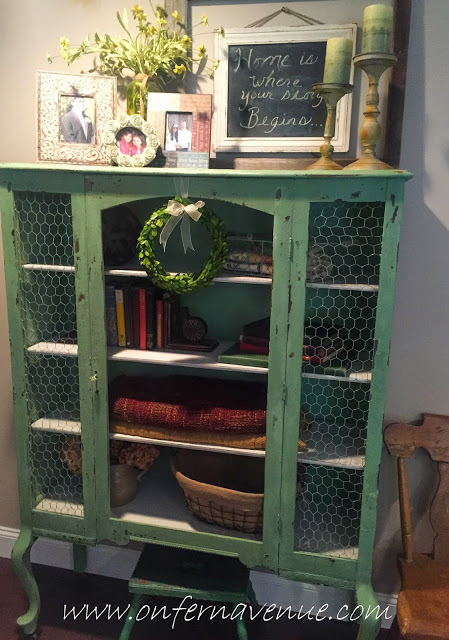 The "most clicked link" goes to this beautiful green cabinet by Lynn from Fern Avenue. This piece is stunning! I can see why so many people clicked on the thumbnail. Thank you to everyone who shared your projects with us. If you've been featured, please grab a button and add it to your blog! Here's to another week of inspiration! It is a beautiful piece! Thank you for sharing with us - I hope you'll be back next week!